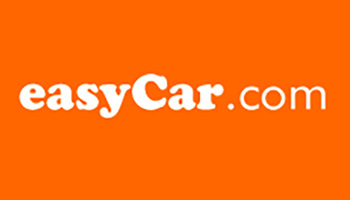 Easycar Hire offer a selection of new and modern vehicles for hire through a network of selected partners who have been selected by EasyCar as chosen suppliers. A number of their categories offer a collection service which means that you will be met at the airport and accompanied to the office as well as returned back to the airport when you return the vehicle. 3) Drivers must have had a full licence for a minimum period of 12 months, licenses printed in using letters other than Latin letters (Cyrillic, Arabic etc) may require to present a n international driving permit, please check at time of booking. EasyCars offer a wide choice of vehicles ranging from small compact to family sized saloons as well as people carriers and luxury vehicles. Additional driver/s (first additional driver is free of charge, charges for a third driver and more are based on a daily rate).